The number of vegetable gardens is skyrocketing, and organic food and healthy eating are also on the rise. There are more than 70 million gardens in the U.S., which is generating a potential multibillion dollar market. A new startup launching at TechCrunch Disrupt today, called Grow the Planet is hoping to take advantage of this opportunity by making a Farmville for the real world. 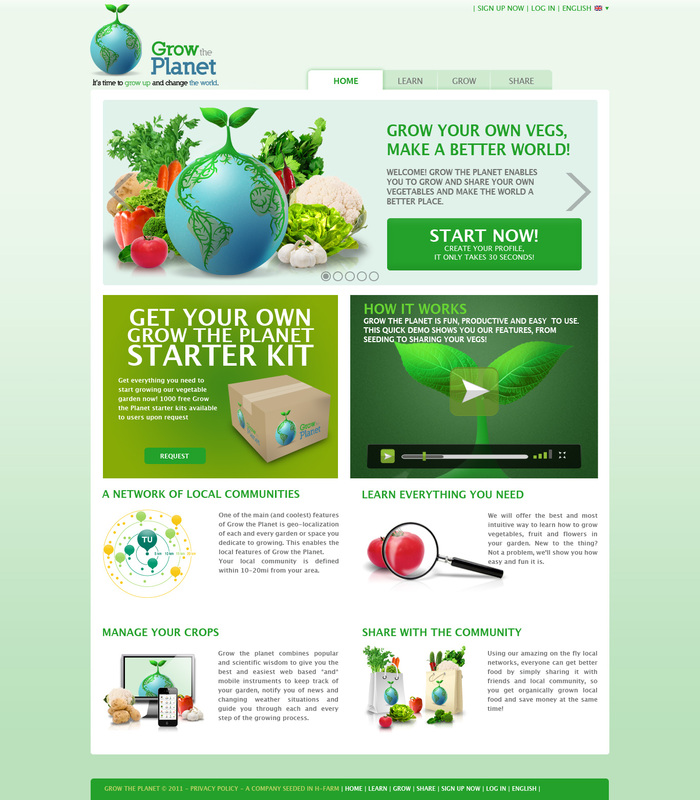 Grow The Planet wants to be a social network for hobby farmers –- and a resource that can teach anyone to grow their own vegetables and herbs. The startup’s site aggregates information on plants and vegetables, offers growing skills and techniques, hints and tips for needed activities to become a personal farming resource. Through the site’s social functionality, users can share opinions or growing advice, connecting to each other and even exchanging produce. Grow The Planet is also location-enabled, allowing users to view a map to see what users are close, what they’re growing, and pops down (instead of pins) tomatoes and other veggies so you can see what produce is available around you. And, hey, even offer a neighbor a snack of cucumbers. However, the core of the platform lies in the possiblity for each user to design their own vegetable garden, on their balcony or indoors, and receive tips on what is needed to grow vegetables according to the season, climate zone, weather, etc. The startup brings in extensive research on growth statistics and the integration with climate data and user input to add breadth to the platform. While the startup offers peer-to-peer functionality, users can also keep their own garden journal to keep track of their progress on their way to veggie victory, schedule and keep track of activities, to-do’s and the overall state of their garden (and of course share that progress with the internal community as well as over other social networks). So many people would love to be able to grow their own garden, but don’t know where to start. Foodies are are already rabid about their farming, and there really seems to be a lot of potential here to foster a passionate user base. Am I right green thumbs? Because of national laws, people can’t sell their own crops, but through this sort of exchange network, Grow The Planet has found a really smart workaround. As to how the startup will make money? The founders said that, in the long run, they want to become an online gardening store; but for now, Grow The Planet is offering premium memberships that offer a fuller array of recommendations, tools, the ability to integrate with hardware censors, and extended knowledge and support. Grow The Planet is really hitting on an incredible idea here, and it’s so nice to see a startup that’s not simply trying to be the “Airbnb of — some other space”. It’s creative, and we won’t be surprised if these guys are attracting the attention of investors.